Wu Zheng-Yi （吴征镒 or Wu Cheng-Yih in Wade-Giles） passed away on June 20, 2013 in Kunming, Yunnan Province following an illness. 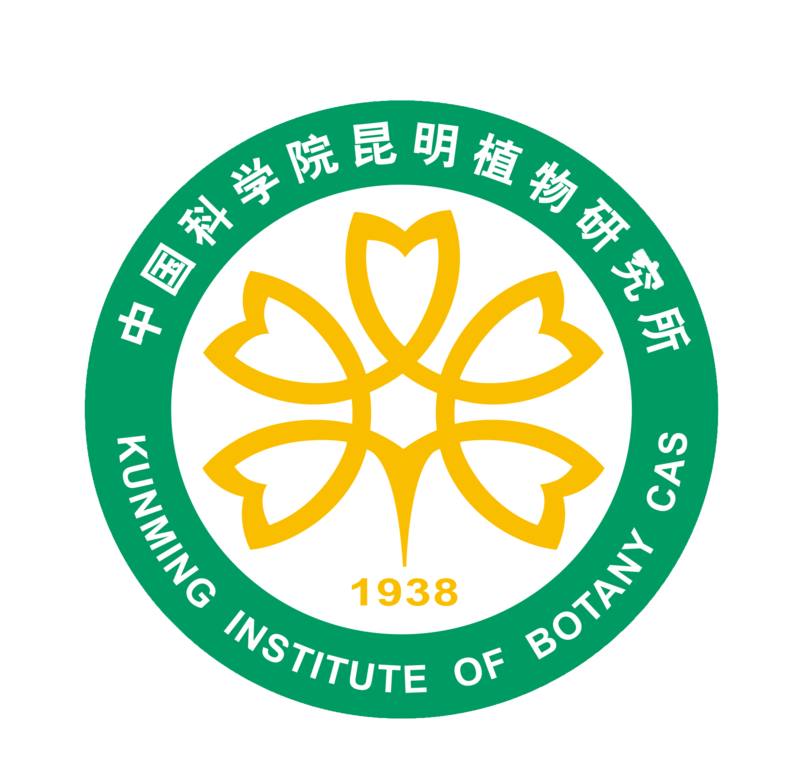 He was Academician of the Chinese Academy of Sciences （CAS） , Professor and Director Emeritus of CAS Kunming Institute of Botany （KIB） . Prof. Wu was born in Jiujiang, Jiangxi Province on June 13, 1916. He grew up in Yangzhou, Jiangsu Province and received his BA in Biology from Tsinghua University in Beiping （now Beijing） in 1937. As a leading and world-famous botanist of China, Prof. Wu was most prestigious for his study in plant taxonomy, floristic geography and biodiversity conservation. Through the course of his scientific career, which spanned over 70 years, he made outstanding contributions in transplanting botany into China and internationalizing Chinese botany in the botanical domain of the world. With tremendous fundamental work, he clarified much of the taxonomic confusion of Chinese seed plants as well as their distribution. He also did remarkable work on the effective conservation of plant diversity and sustainable utilization of plant resources in China and other areas of eastern and southeastern Asia. Plant taxonomy is fundamental for botanical study because correct identification and naming is necessary prior to any further research. Though Chinese people have had a long history of utilizing plants, modern taxonomic study was not introduced to China until the publication of Botany by Li Shan-Lan and A. Williamson in 1858, a work translated from the Elements of Botany written by J. Lindley. As China was driven into a series of wars after the middle of the 19th century, many species in China were collected and named by Westerners during that time, with their type specimens being preserved in many foreign herbaria. Prof. Wu succeeded in the entrance examination for graduate study in Peking University under the supervision of the Director Zhang Jing-Yue （张景钺） in June 1940. However, after the death of his teacher Wu Yun-Zhen （吴韫珍Wu Wen-Chen,） Wu decided to give up his graduate study and started to sort and classify the catalog of Chinese plant species hand-copied by Wu Yun-Zhen （Wu Wen-Chen） from H. Handel-Mazzetti and photographs of type specimens taken by Qin Ren-Chang （秦仁昌 Ching Ren-Chang） from several European herbaria. He made a card for each species to which he added extra information of literature, habitat and distribution. Wu kept on doing this work for more than ten years and accumulated more than 30 000 cards. These cards, which are now stored in the library of Herbarium of Kunming Institute of Botany （ KUN） , played a useful part in the compilation and publication of Flora Reipublicae Popularis Sinicae （ FRPS） , Iconographia Cormophytorum Sinicorum, and more. The process of making the cards also made Wu more familiar with plant collectors and researchers, as well as the distribution and ecological niches of each species. Such work laid laying an important foundation for his future study on phytogeography. Without a complete record of the national flora of China, nobody knew how many species there were in the country. As early as the 1930s, Chinese botanists （particularly Hu Xian-Su 胡先骕, better known as H. H. Hu） had been preparing and working hard for the compilation of a national flora, but it was impossible to carry out under the unstable situation at that time. It was not until the founding of the People’ s Republic of China that the compilation of FRPS was again considered, and the project was eventually initiated in 1958. Wu became the fourth editor-in-chief of the Editorial Committee of FRPS in 1987, and 82 books of 54 volumes were published under his editorship. With the collaboration of 312 botanists in three generations and 164 art-ists who made 9081 line illustrations, the magnum opus, containing 126 books of 80 volumes in total, was finally completed in 2004 and recorded 31,180 species from China, making it the largest flora in the world. 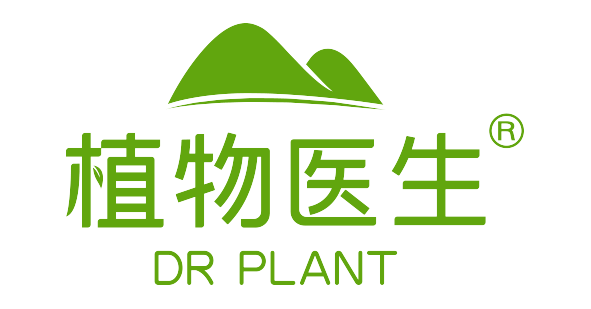 The work established a ‘residence booklet’ for every plant species in China, including their scientific names, morphological characters, distribution, uses and, so on, and thus greatly contributed to the conservation of biodiversity and the sustainable use of plant resources in our country. It won the first prize of the 2009 National Natural Science Award of China, which had been vacant for years. During the compilation of FRPS, Wu also chief-edited another two great works: Flora Yunnanica and Flora Xizangica. The former is the largest provincial flora and won the grand prize of the 2010 Yunnan Provincial Science and Technology Award. Because the FRPS was written in Chinese, and was not readily accessible to the non-Chinese speaking countries, an English updated version of the FRPS, Flora of China （FOC）, was needed. It was in 1988 that the FOC project was officially commenced, with Wu and Peter H. Raven being the co-chairs of the joint editorial committee. This project provided precious opportunities for collaboration among Chinese and non-Chinese botanists and was an important step for introducing the Chinese flora to the world. By today, 22 of the 25 volumes （except vols. 1-3） have been published. The origin and evolutionary history of flowering plants have long been ambiguous and controversial, and no classification system could provide fully satisfying answers to the questions so far. Many taxonomists have proposed their own classification systems with several of them dominating in various periods, such as the sys-tems of Engler and Prantl, Hutchinson, Takhatajan, Cronquist, etc. Although none of them can fully reflect the evolutionary history of plants, some have proven to be reasonable and useful to a certain degree. In 1998, Prof. Wu and his students and colleagues proposed a new classification system of angiosperms, the “polyphy-letic-polychronic-polytopic” system （i.e., the eight-class system ） . Unlike other classification systems that were based only on morphological similarity between groups or evidence from cladistic analysis of molecular data, the eight-class system was derived from morphological and molecular data with special reference to data of modern geographical distributions. In this new system, the Magnoliophyta were divided into 8 classes, 40 sub-classes, 202 orders and 572 families. Among them, 22 new subclasses （ Annonidae, Illiciidae, Ceratophylli-dae, Lauridae, Calycanthidae, Chloranthidae, Aristolochiidae, Polygonidae, Plumbaginidae, Bromeliidae, Zingiberidae, Juncidae, Poaidae, Paeoniidae, Papaveridae, Trochodendridae, Betulidae, Malvidae, Ericidae, Myrtidae, Rutidae, and Geraniidae ） and 6 new orders （ Degeneriales, Aizoales, Platanales, Dipent-odontales, Meliosmales, and Balanitales） were circumscribed. As the majority of early angiosperms were extinct, the system gave a general scheme of classification of eight lineages of angiosperms, which provided an-other practical and effective way for understanding modern plants. such as endemism, vicarism and disjunctive distributions. As floristic data accumulated with the completion of FRPS and progress of FOC, the scheme was modified and enlarged to include area-types of families of seed plants of the world, in which 18 types were recognized. Apart from basic theoretical studies, Prof. Wu was also concerned with the economic development of Chi-na and kept pace with the international trends of botanical research. He took part in or was in charge of several projects of plant resources investigation. In the 1950s, he along with other scientists developer the key techniques to plant the rubber tree in southern China. In the 1970s, he and other researchers carried out a thor-ough survey on medicinal plants in China. 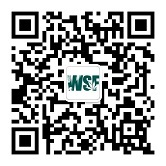 Wu also gave advice to governments for rational utilization, introduction and domestication of natural plant resources. With the development of the economy, population explo-sion, and environmental destruction of China, biodiversity has been decreasing rapidly, and the demand for biological energy keeps increasing sharply. Considering this situation, Wu wrote to the then Premier Zhu Rong-Ji in 1999, proposing to establish a germplasm bank of wild species in southwest China. The suggestion was soon approved by the government, and the germplasm bank was finally constructed and operated in 2007 in Kunming. Wu spent much of his time travelling around the country to investigate the plant species and vegetation of various types in China. Between 1975-1976, he made two field trips to Xizang （ Tibet） when he was nearly 60 years old. From the 1980s to 1990s, he investigated the flora of north China, as well as the desert and grassland in Xinjiang; he also travelled to several mountains in south China and finally finished his field observations of the Chinese plants in 1998 after he came back from Taiwan. He had also been to many foreign countries on five out of the seven continents （ except Africa and Antarctica） during 1979-1996. The visits not only enlarged his perspective on the study of worldwide flora, but also made domestic botanical research known to the world. “Vegetation of China,” for which he was as the editor-in-chief, won the second prize of the 1987 National Natural Science Award of China and is still treated as an important subject matter of botany, agriculture, forestry and animal husbandry. To identify plant specimens, Wu spent years of lonely work in herbaria. His passion and responsibility never faded, even when he was forced to work as a boiler fireman during the “Cultural Revolution” . He instructed his students patiently and tirelessly, and he won the highest esteem from the botanical community of China. Because he was familiar with almost half of the species in China, Prof. Wu was called the ‘ living dictionary’ of Chinese plants. During Wu’s whole life, he himself named 1 766 new taxa. Being the person who named the most of seed plant taxa among Chinese botanists, Wu changed the history that Chinese plant species were long named by foreigners. Wu won 2007 China’s State Supreme Science and Technology Award because of his outstanding contributions to the research of Botany. Wu devoted all of his life to botanical research in China. Peter Raven, a world-famous botanist and for-eign academician of the CAS and Director Emeritus of the Missouri Botanical Garden, said ‘Wu did very solid fundamental, pioneering and farsighted work for Chinese botanical research. ‘Wu worked rigorously but lived a plain and simple life. His passing is a great loss to the botanical community of China and the whole world. While we have lost a master in science and a giant in botany, Prof. Wu Zheng-Yi will remain our reverent director, esteemed supervisor and beloved mentor forever.